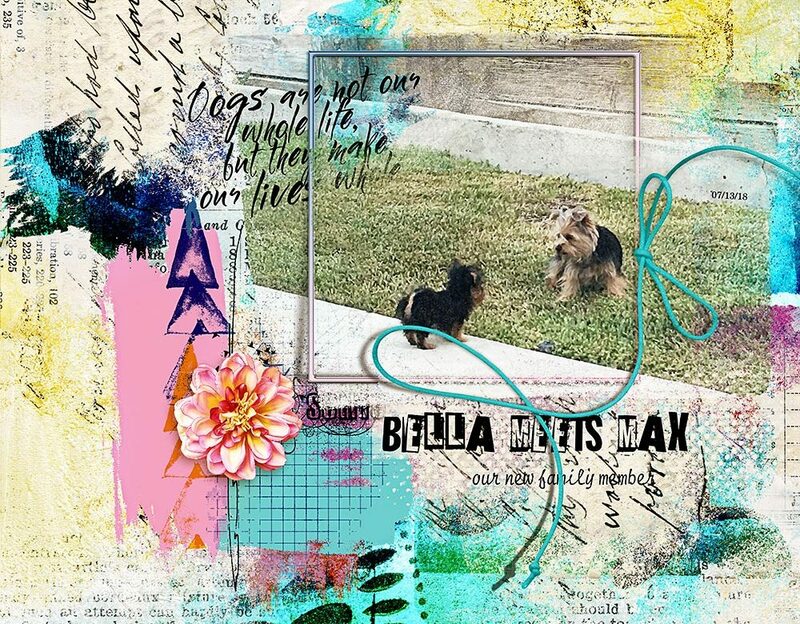 Mood Board Challenge – Inspiration by Flor (aka twinsmomflor) Hi there ladies, Flor here playing the Mood Board Challenge. So fun. I got inspired with the beautiful dog subject since I have a new family member. The brush color on the mood board is gorgeous. 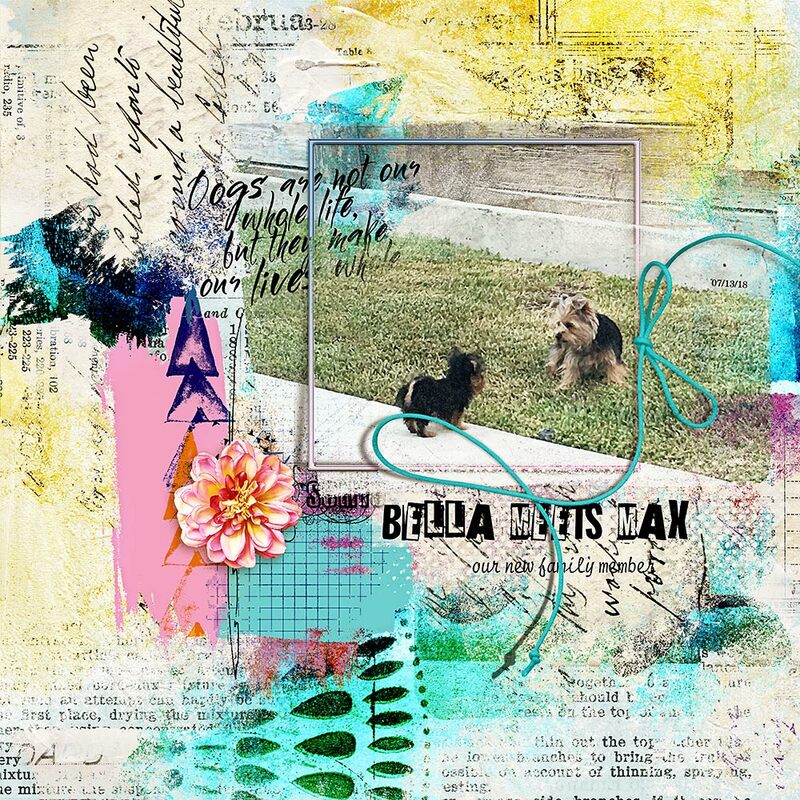 I love the energy of ArtCrush No7 and the wordart of Fur-vorite and letting go my fun with Art and Journal Brushes.